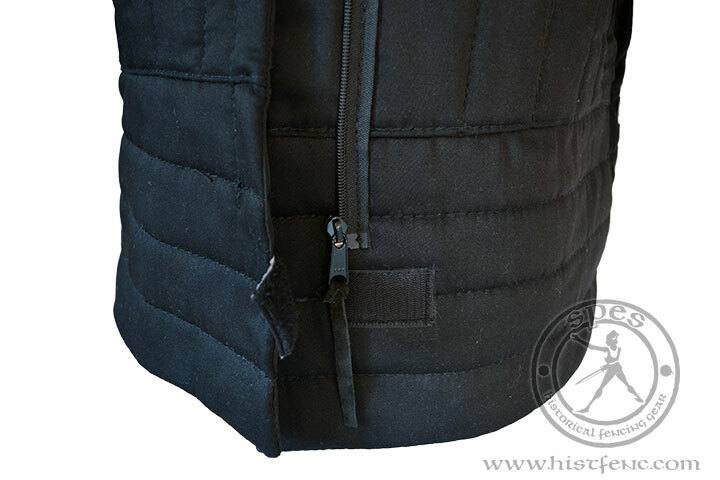 The new model of Fechtschule Gdansk Gambeson PRO is based on previous, well known and valued Gambeson designed with help of Fechtschule Gdansk school of Historical Fencing. 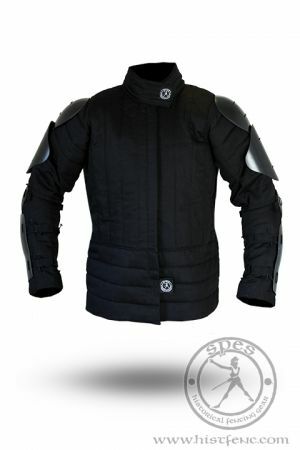 All changes introduced are aimed to increase the level of safety as well as the pleasure of wearing our protection gear. 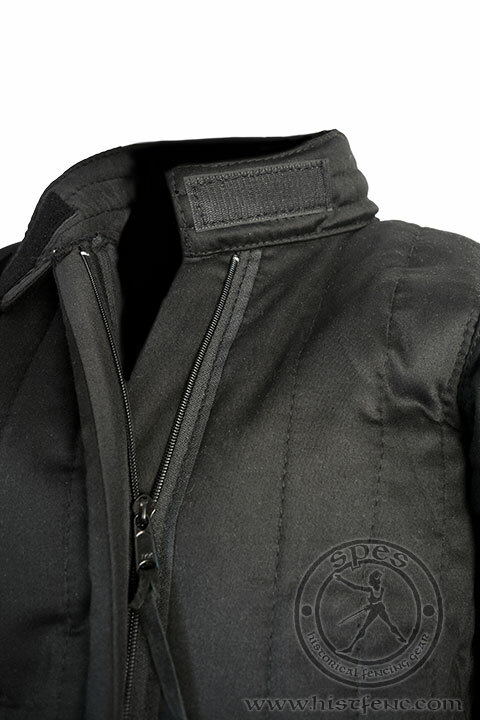 New model is equipped with fasteners for mounting an additional protection – detachable, specially schaped, plastic pads. 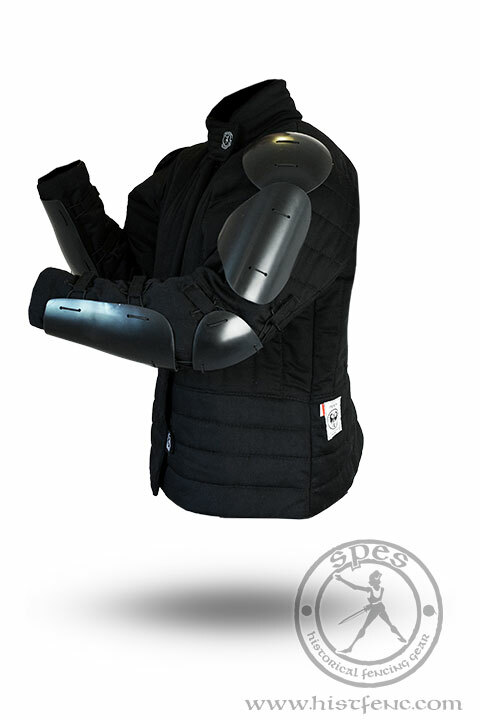 It lets you use the jacket as a full protection without necessity of wearing additional protectors to save the arm from hits. It also shortens the preparation time before training letting you enjoy the fight longer. We resigned from the traditional fastening way with leather thongs. 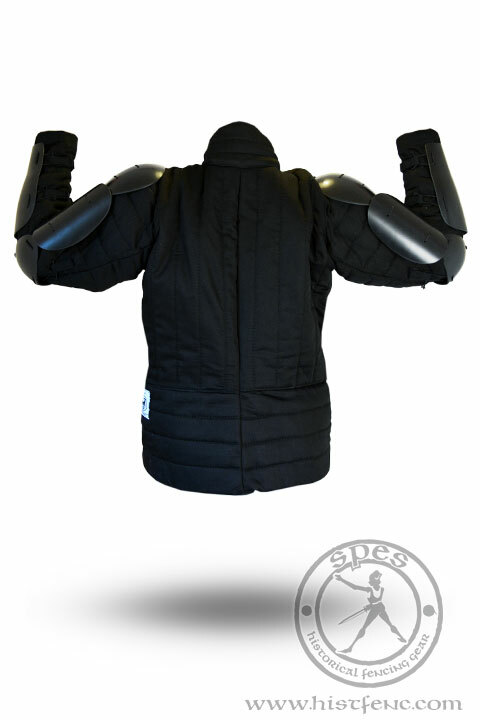 Now the jacket has zipper and Velcro tapes what help put in gambeson much faster. Additionally the fabric in this model has been changed from standard linen to more comfortable, stronger and worn-resistant cotton. The set includes: jacket and plastic pads (8 pcs). 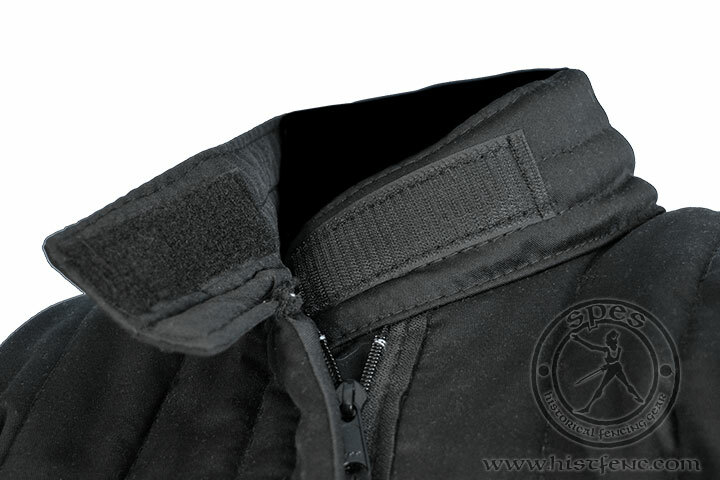 02/2013 - Zipper has been replaced by new, much stronger type. Custom sizing: Please write measurments in the "Customer opinion" space available in your cart in the step before placing the order. For more information please read this. New model of Axel Pettersson Fencing Jacket is a combination of wearing comfort with high level of protection. The design is based on previous model (1.1), highly valued among the historical fencing devotees.